Running… It was what I (Rachelle) did & basically all I did for years & years! It was in the 7th grade that I discovered this love of mine! Running is great, it requires no equipment, you get fresh air, & feel wonderful after a good run! My parent’s have some workout equipment in their basement, so I would do a few random exercises with that as well from time to time. When I went to college and had a nice fitness area to my access I started doing a little more weight training in there. This would mostly look something like me grabbing some dumbbells & doing some bicep curls with a few other exercises. 🙂 Then I met Will… He introduced me to Crossfit & the importance of full-body workouts. 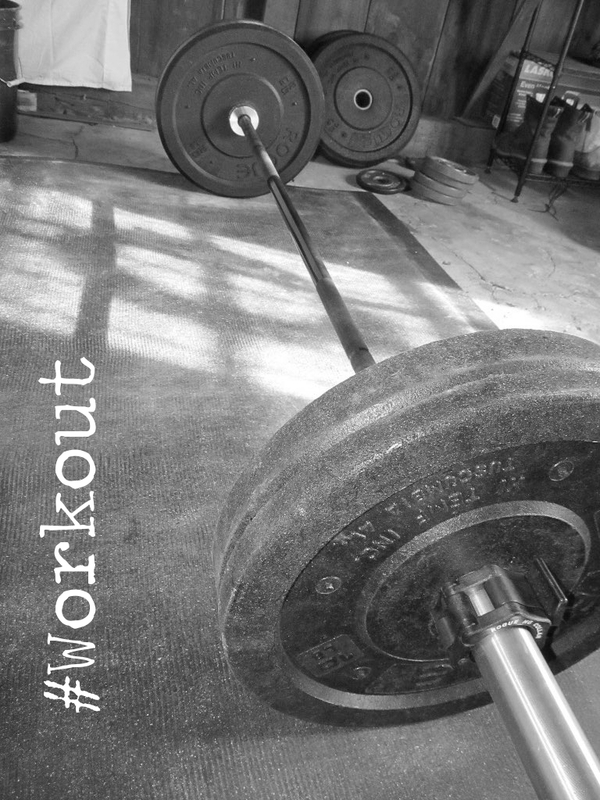 I found a blog that posted WODs (workout of the day) for ladies & started doing some of them in the weight room at school. I distinctly remember feeling more toned & altogether better than I ever had!! I loved it & the challenge that it brought to my workouts! Here is the thing… I still LOVE running! It is my outlet (well workingout is). There is just something about being outside in the fresh air! BUT since Will told me about the importance of working out the entire body & the benefits that come with that, I have been stronger & more lean. Here I’ll let him tell you about the importance of strength-training & full-body workouts to making you toned & lower body fat…. While long slow distance running is a great form of exercise and has many benefits, it is not the ideal or most efficient way to lose body fat. The common opinion regarding fat loss is that if you want to lose fat and “tone” the best thing to do is aerobic exercise and if you want to get bigger then you do resistance training. Women shy away from lifting to much to prevent getting “bulky” and stick with cardiovascular. However studies prove that this is not the ideal way to lose body fat. Aerobic exercise does burn calories, however to burn more fat, one must increase their resting metabolic rate (the rate that you burn calories while resting) through anaerobic exercise. Strength training and high intensity interval training (HIIT) both are both forms of anaerobic exercise and are effective ways to increase your resting metabolic rate. You might be thinking ‘how is doing strength training going to help me lose fat?’ Imagine a water pitcher representing the amount of calories that you need to sustain daily activities and the food that you intake is the water you pour into the pitcher. As the pitcher fills to the to top and starts to spill over, the excess water represents what will go into fat storage. Your body can only use so many calorie and is forced to store the rest as fat. Now as you strength train your body reacts by creating muscle. As you get stronger your body requires more calories to sustain itself. You have increased the size of your pitcher and less calories will be stored as fat. Maintaining and rebuilding muscle is calorie expensive to your body. High intensity interval training is another anaerobic form of exercise that involves doing several exercises at a unsustainable level of intensity for 2 minutes or under and then allowing your body to recover for a set amount of time before repeating the effort. Try doing this for 10 – 15 minutes and you will be breathing just as hard as going for a long run. Pick a variety of exercises that challenge your whole body. Here is an interval workout you can try at home! 30 seconds on 30 seconds off of each of the following exercises. Rest 1 minute, then repeat 3-5 times through. You can modify this workout to fit your current fitness level with the level of intensity for each exercise. I loved this post. This exact information is what I have been interested in lately & need to know more about! Thanks for sharing! Oh good! We are glad to share! Next PostNext Why YOU should start squatting!